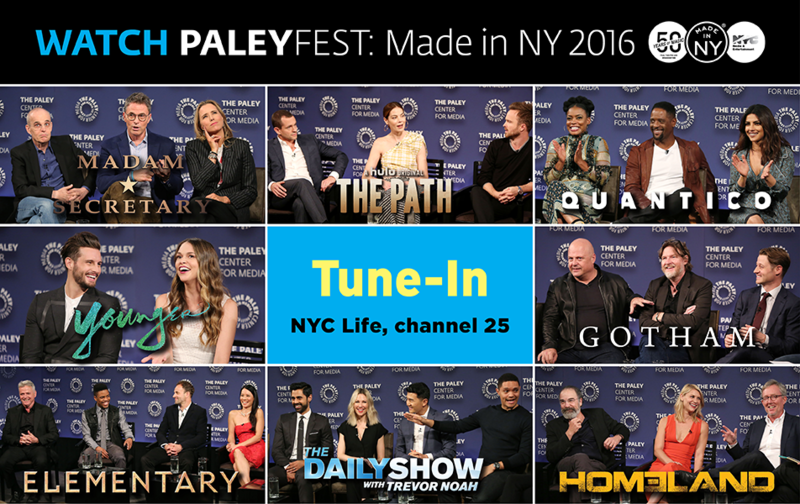 Tune-In to Watch PaleyFest: Made In New York 2016! Last October we worked with the Mayor's Office of Media and Entertainment (MOME) for our special PaleyFest NY that focused on TV series that are filmed and produced in New York. MOME is now showing those PaleyFest events on NYC Life, channel 25, as part of the Mayor's Office Made in NY Talks series! This channel is available throughout the New York Metropolitan area, please check with your cable provider. Next Millennium Productions produced the programs for NYC Media, the official television and radio network of the City of New York. The Made in NY Talks series airs at 10:30 pm.